Credit scoring is a statistical method of assessing the creditworthiness of the customer used by banks and financial institutions (generally for the granting of consumer credit): it is a system of calculation, coherent, fast and accurate that analyzes a series of information on consumer and provides a score (score) on the risk of customer insolvency. Based on the score, the bank or financial officer decides whether to disburse or repay the loan. The most relevant information used for credit scoring are of four types: on the customer, on the loan to be disbursed, on the asset to be financed and on the degree of debt of those requesting credit, information recorded in the central risks. Another very important factor taken into consideration by credit scoring is the financial reputation and credit history of the applicant: the banks control the data recorded in the risk centers in order to verify any behavior that does not allow the granting of credit (for example, failure to meet the deadlines for payments in installment loans will prevent the loan from being granted). Credit reliability is an important parameter that allows easier access to the credit market. What is it? It is a sort of report card that the bank issues to assess the financial conduct of each person requesting a loan. Basically, it is an indicative value that represents the capacity that a subject has in respecting the commitment made during the course of a loan, also in terms of punctuality in repaying the debt. The bank, therefore, when a loan is requested before deciding whether to grant it or not will collect all the information relating to the applicant by interfacing with the “Central risks”, a sort of confidential database, in which any irregularities are also included committed by the applicant throughout his credit history. The reliability is calculated starting from a score, the credit score, which takes into account both merit, such as punctuality in payments, and those of demerit, such as insolvency and delays. In the case of the prevalence of positive elements to the subject / institution will be assigned a higher score that will correspond to a high creditworthiness, while if the negative elements are higher, the credit score will decrease by decreeing a lower solvency of the applicant, who will have It is therefore more difficult to access the loan / mortgage required. However, it is important to remember that there are no fixed parameters that allow the obtainment of a credit or not: each bank will decide how to deal with the client based on its own assessments. Credit score is an assessment, generally in the form of a table that the bank assigns to a given subject, be it a private individual or a company, on the occasions when it requires a loan. Increased credit reliability helps you to access credit more easily and to understand how to get a good credit rating you have to start from a few bases. It is the most obvious item, income. It is not just a matter of establishing the amount of income, in a sort of race to make as much money as possible. For a credit institution, it is more important that income is stable rather than large. From the point of view of the bank an employee with 14 monthly payments of $1,200 (random example) is statistically a better customer than a freelancer who invoices $12,000 in January and then $100 for the next three months. This happens for a whole series of factors, some tangible and “accounting” and other more random (the employee tends to have less external expenses) but the result does not change. For the bank it counts the stability of income. Be it a bank or a financial company, be already present in their customer database, even better if with previous loans or loans already granted and settled in time and without problems it is certainly a big advantage because the credit institution already knows you and therefore knows your tendency and possibility of settling your debts. But beware, it’s not just about loans or financing, there are also, for example, credit cards. Some credit card providers automatically provide a customer’s credit history. Mainly the monthly credit card balance is the principal factor. So why is it important to check your credit score regularly? This is the most important and delicate issue among those mentioned. Credit institutions are unlikely to grant new loans or loans to those who have already been denied a loan, to those who have had substantial, continuous or regular delays in payment of debts (be it mortgages or credit card balance). Attention must also be paid to checks, sometimes a refused or empty check may suffice, and a particularly zealous third party (who receives the check) to end up in the “black book” of denied credits. Beware of requests done without an urgent need, one is enough to land you among rejected borrowers. 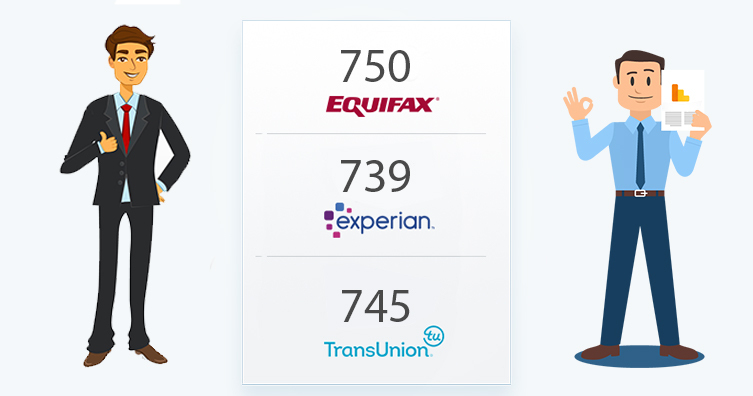 Some links that may be useful for you: https://wallethub.com/free-credit-score and https://www.creditkarma.com/ – those are the services which help you check your credit score for free. Enter your personal details and wait for the system to find you in the general database. Do not forget that learning about a subpar credit score will help you improve your credit history, which in its turn will give you the opportunity to obtain cheaper payday loans in future. WalletHub is a reliable service dedicated to personal finance that has been around since 2013. They position themselves as a social network that collects and presents information about financial institutions and advisors. They use hundreds of official resources for their extensive database, and users can find their personal finance information 24/7. Using WallerHub for monitoring your credit score is informative and simple. The analog service of WalletHub is CreditKarma. This service, too, has multiple uses: you can benefit from checking your credit score, but also enjoy a more personalized financial advising. The site features a large number of financial tools that help you in bookkeeping, budget planning, calculating, etc. CreditKarma is a great way to find a lender or another financial service provider. It also functions as an up-to-date database for financial articles and educational materials. Complete your loan application online. ZenithLoans.com is a credit brokerage website owned and operated by ZenithLoans, LLC. 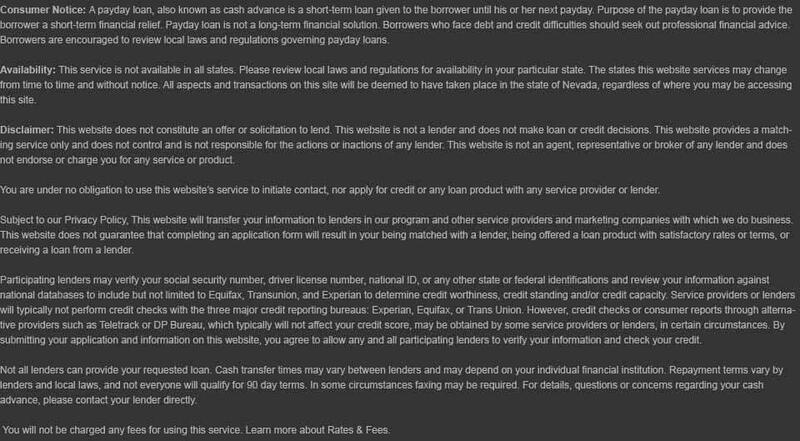 We are not a lender and do not provide credit to consumers. If you make an application through this site it will be shown to a selection of US based lending partners for careful consideration. All loans are subject to eligibility criteria and review of creditworthiness and history. We will never charge a fee for our service.